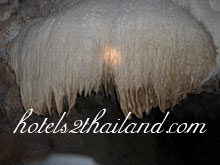 This exciting excursion will take you from Phuket or Khao Lak to experience the scenic world of the mysterious Phang Nga Bay. 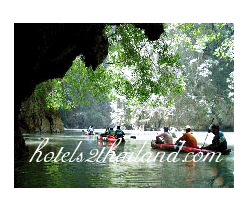 You will silent travel by canoe along the amazing landscape and enter the beautiful lagoons, that in Thai is called Hong. 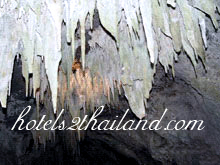 Our minivans will pick you up at your hotel in Phuket or Khao Lak early morning. We depart from our pier Laem Sai on our mother ship, a cruiser boat and head out to Phang Nga Bay. 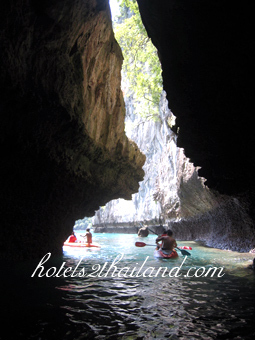 From the cruiser boat we will go exploring by canoe together with our experienced local paddler guide. Each canoe takes two persons and one guide. 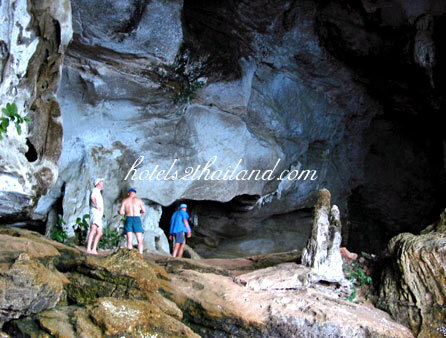 Depending on the tide we will visit a various famous caves and Hongs. The timing to enter the Hongs has to be perfect. Our paddle guides need to carefully study low and hide tide to enter the tunnels exact right time. 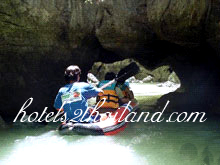 The canoes will take you in to the tunnels and lagoons, only the noise of the wildlife is heard in here. If you are lucky you might see some crab-eating macaque monkeys, different kinds of birds, sleeping bats and fish life. Your lunch for the day will be served on the boat, and you can enjoy our Thai buffet while the cruiser slowly goes to Lawa Island. When we reach the island you will get the chance to try paddling by yourself. 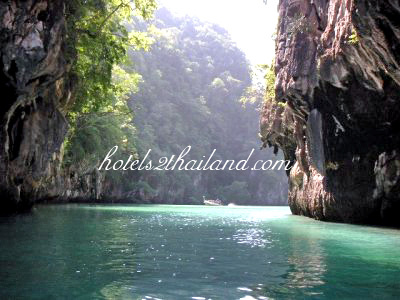 Or simply just relax under a palm tree on a quiet beach for some sunbathing and enjoy the beautiful views of Phang Nga. This tour is not recommended for people with back, knee or other health issues.